Immature female Anna's Hummingbird at a house in Cowiche Canyon northwest of Yakima, WA. 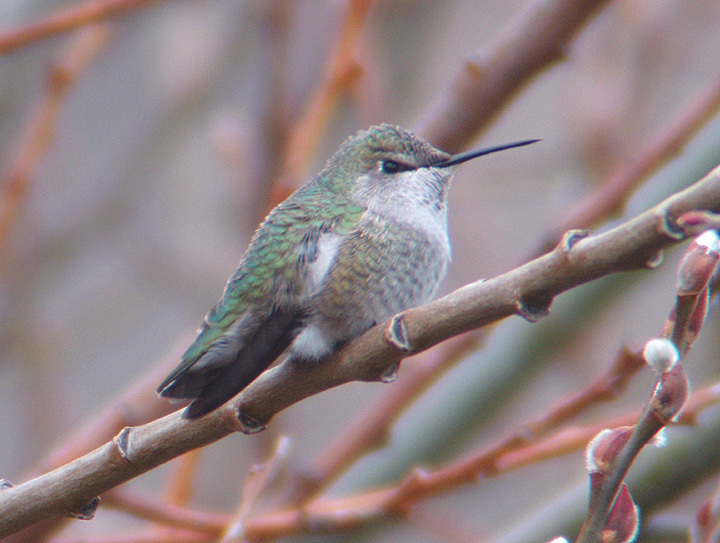 This is the third Anna's Hummingbird to be found in the Yakima area since November 10. December 20, 2004.